You must be searching for how to control blood pressure during pregnancy or how to control hypertension during this phase? Pregnancy is one of the beautiful phase of life. Few mothers are lucky enough to enjoy these phase of life while the unfortunate ones have many health related complications. 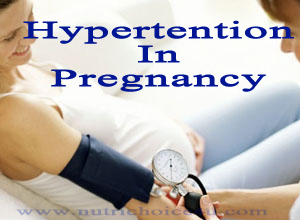 Tips to control blood pressure during pregnancy has to be considered for the mothers who has seen their BP elevated during the routine check ups. It seems to be very easy to deal with it in the initial stage but as the pregnancy progresses the complications to the mother as well as the baby increases. There are swellings, headache, dizziness, edema seen.When your doctors informs you about the pressure being on the higher side do not panic. BP can be controlled only with diet. So take care of the diet you are taking. Doctors generally do not take it very seriously in the initial stage but if taken care at the initial stage it does not create any complications for the delivery. If you ignore it then it can cause problem to fetus and mother and there is high risk of premature delivery or a C-section. 80% of mothers who are diagnosed with high blood pressure has C-section delivery. In such cases Both the patients and doctors are at fall. It is very important for doctors to regularly monitor mothers BP with a prescribed amount of salt for e.g 2-3gms/day. Doctors here should understand that diet plays a very important role and therefore he/she should insist the patient to seek dietitian advice. Patients should follow proper instructions and take extra care of their diet. Take low salt diet 1/2 tsp/day. Avoid packaged foods with preservatives and artificial flavors. Say NO to pickles, papads and chutneys. No red meat, Egg yolk. No foods which has aginomoto (GSM). 30 mins daily walk and stretching exercise. Eat lots of water throughout the day. Eats lots of fruits and raw vegetables because it is fibrous. Eat beetroot, green leafy veggies etc. Include almonds and walnuts in the diet. Eat 2 tbsp of flaxseeds/day. Eat lean meat, fish, poultry etc. You prevention is in your hand. Take right choice over food to take care of yourself and your baby. Take a right choice baby!!! ahhaaa..
Hello there, I found your website by way of Google while looking for a comparable subject, your website came up, it appears to be like great. I have added to my favourites|added to my bookmarks. You’re so interesting! I don’t believe I have read something like that before. So nice to discover someone with a few genuine thoughts on this subject matter. Seriously.. many thanks for starting this up. This website is something that is required on the internet, someone with a little originality! My friend advised I’d personally quite possibly in this way web page. This individual had been 100 % appropriate. The following placed really built my personal working day. You can’t contemplate the amount occasion I did invested due to this information and facts! Cheers! Excellent site. A lot of useful information here. I’m sending it to a few friends ans additionally sharing in delicious. And of course, thank you on your effort! of this webpage, this weblog is actually amazing. I have been previously browsing on online greater than 3 hours today, even so never found out every fascinating article including your own house. It truly is fairly value enough for me. In my opinion, if perhaps virtually all website homeowners along with bloggers produced perfectly content as you possibly have, the world wide web are going to be additional useful than ever. You could definitely see your expertise in the paintings you write. The world hopes for even more passionate writers such as you who aren’t afraid to mention how they believe. All the time follow your heart.